Test Valley Windows are suppliers and installers of new and replacement porches. 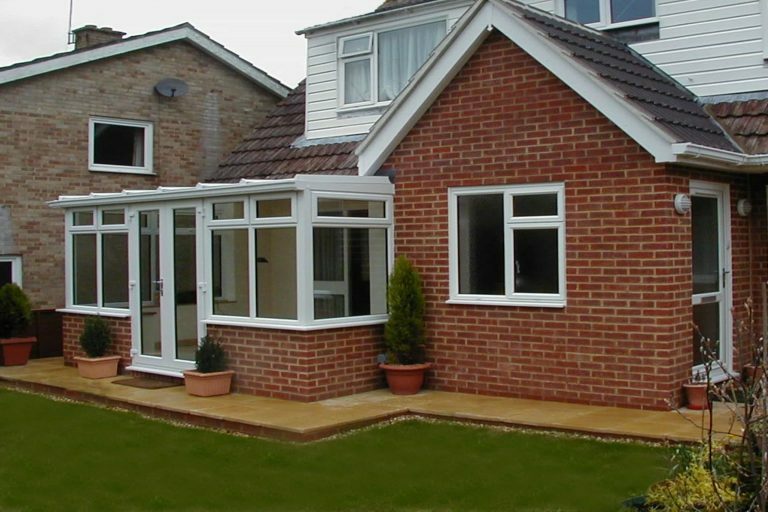 All of our porch designs are made to measure and can include brickwork, tiled or transparent roofs and windows and doors in some finishes. Porches create an entrance into your home that helps to protect it from the elements and wear and tear. They can be somewhere to store your shoes, boots and jackets and saves your living area from dirt and grime. 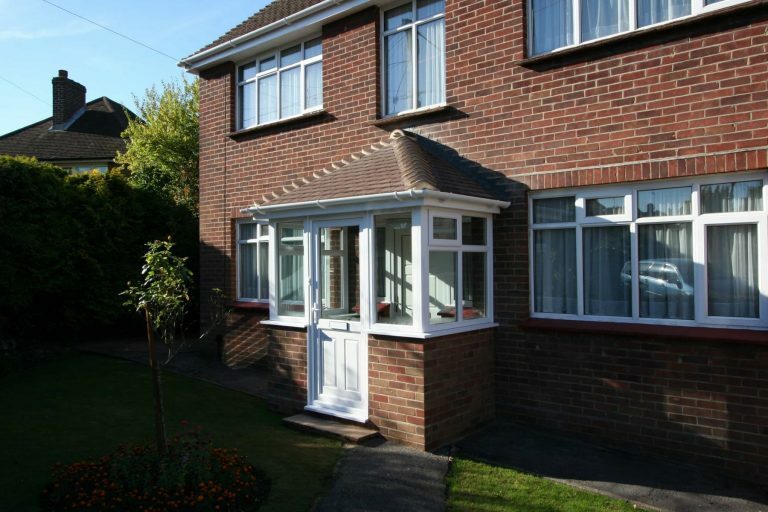 A porch will keep your house warmer by creating a further barrier, which also helps to warm your home with the use of our Planitherm total plus ‘A’ rated double glazing. With period properties porches are often the last to be renovated, but they are the first impression that guests are met with. If you would like to retain the roof and or base, then the parameters are set to a certain extent. 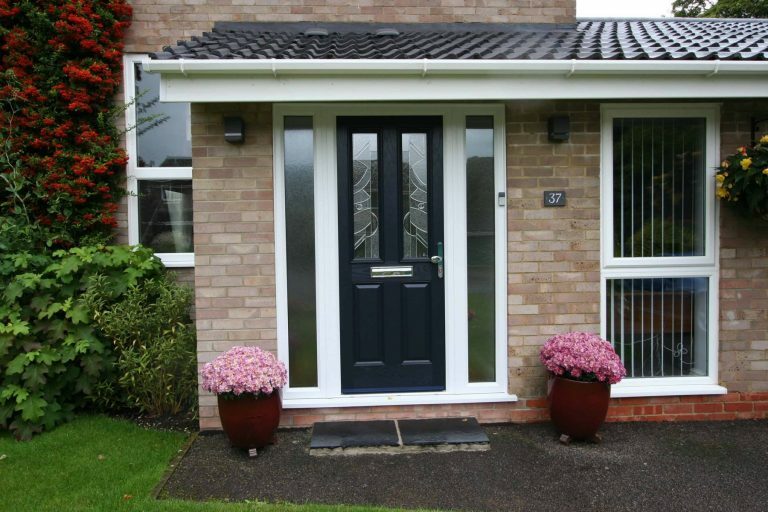 However using our free porch design and quote service we can offer you sound advice that will enhance your porch. Test Valley Windows is a locally based company that thrives on the recommendations of its customers. This is achieved by giving sound impartial advice, with the experience we have gained, through our many years of trading. For example, the above porch roof and the base were retained, and brickwork added below the windows, to the same height as the window to the right. The result was a porch that fitted in with the character of the house, was better than the old one and cost less than a full replacement. 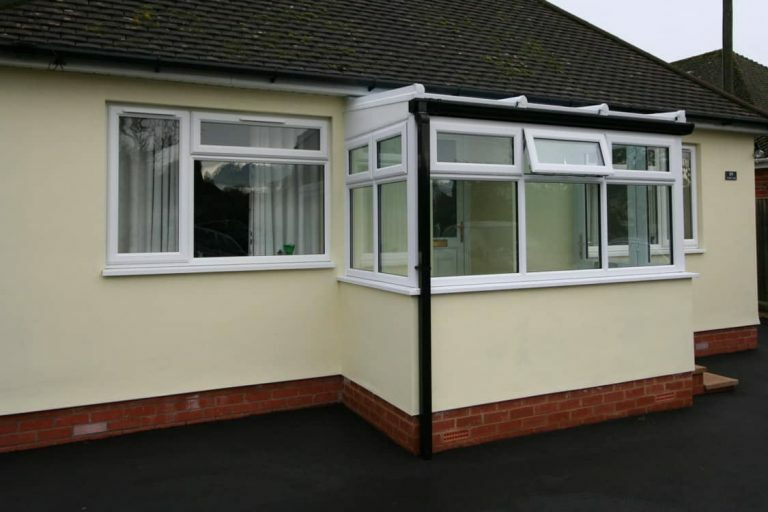 We install many porches that have an existing open canopy roof that is infilled using a combination of doors, windows and brick or block and renders. 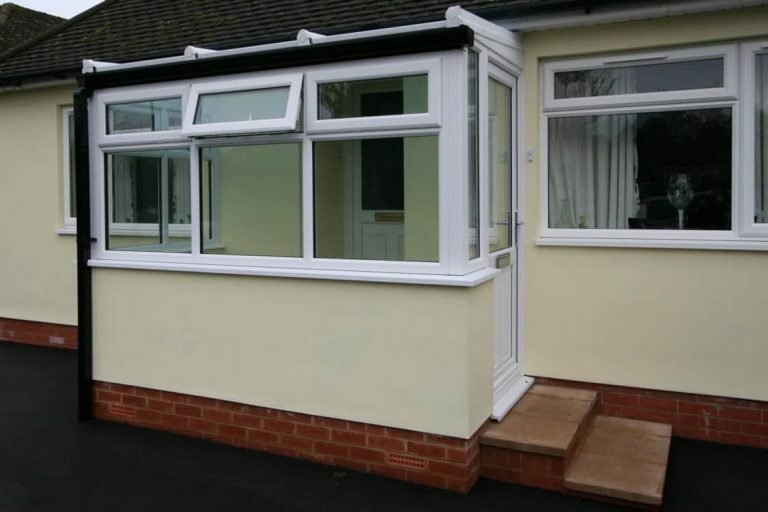 This is a very cost effective way of building a porch, as well as the fact that they normally blend in seamlessly, to the existing property. The above photo is one such example that was carried out in Overton near Basingstoke. New build porches are best designed to the character of the property. There is a blank canvas, so therefore it is easy to design exactly to your requirements. 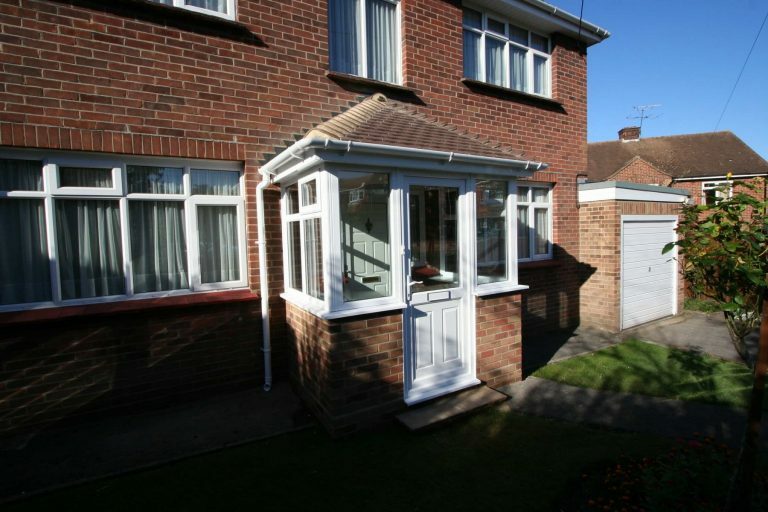 Depending on the size and location, your new porch design may require planning, through your local and if applicable your parish council. This is an area our adviser will help you with, and if you decide to proceed, we can take care of any planning and building regulation requirements. All our porches are bespoke, so when designing your new porch, you can choose from our vast range of windows, glass designs and doors. Your porch design can have a glass or polycarbonate roof (which you can find details for under our conservatory sections), a solid roof to match your house or GRP porch roof. Test valley windows can carry out all the works from start to finish, including ground works and drainage, brickwork, roofing, electrical, plastering, tiling or laminated floors and plumbing. The cost of a porch varies, due to the many parameters, however, a guide price for the supply and installation of a porch would be between ?1500 and ?6000. For a supply only porch, the price would be considerably less as much of costs are in the ground work, base work, roof and labour. 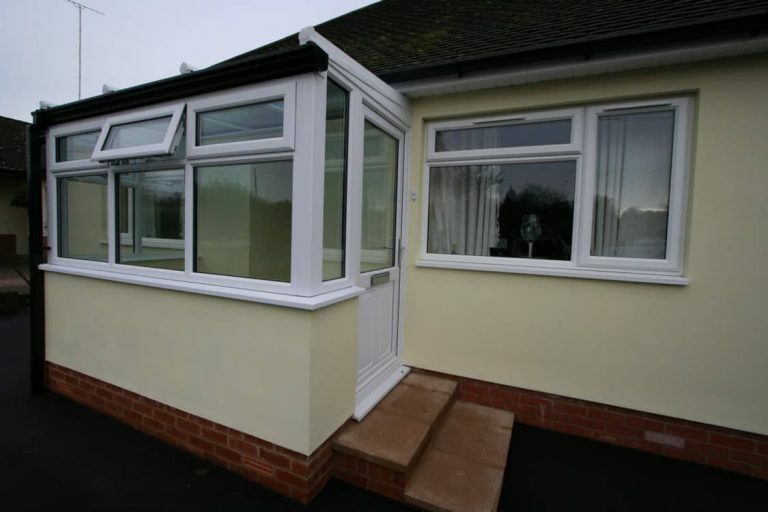 When a porch is constructed correctly, it is similar to building a mini extension. Our slide show video on how to build a conservatory will give you an insight into the construction of a porch base. This can be found on the side bar, or further down the page if using a mobile or tablet. If you would like a free porch design and quote for the supply and installation or would like to supply us with your design, then please contact us. Test Valley Windows have a no pressure sales policy and do not cold call. 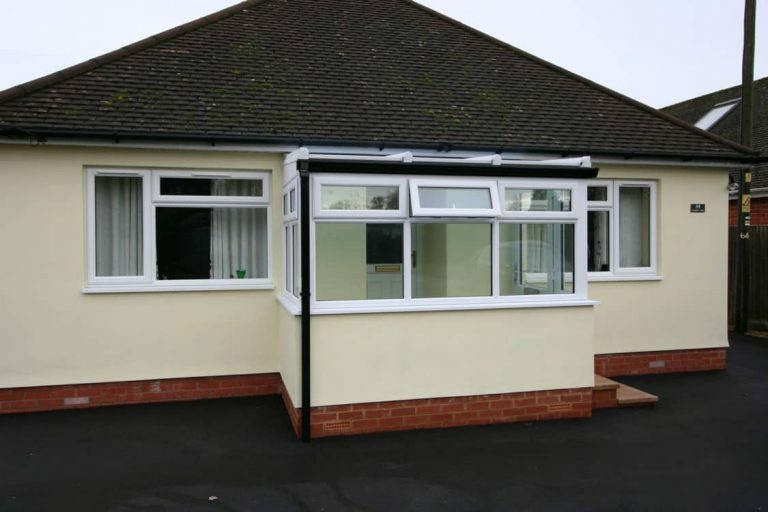 Test Valley windows install porches throughout Hampshire, Dorset, Sussex, Wiltshire, Berkshire including Andover, Winchester, Basingstoke, West London, Southampton, New Forest, Romsey, etc. 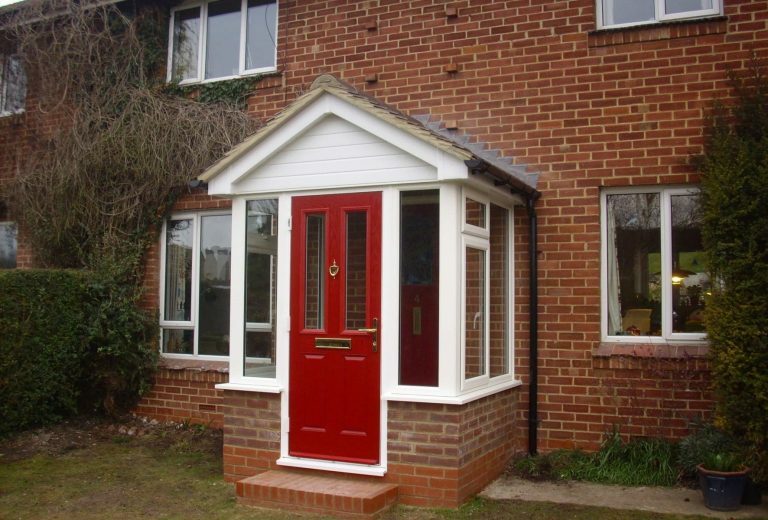 Below is a new porch we recently completed in Winchester Hampshire. Brick, render and black gutter to match the existing house with a Pilkington Active glass roof. 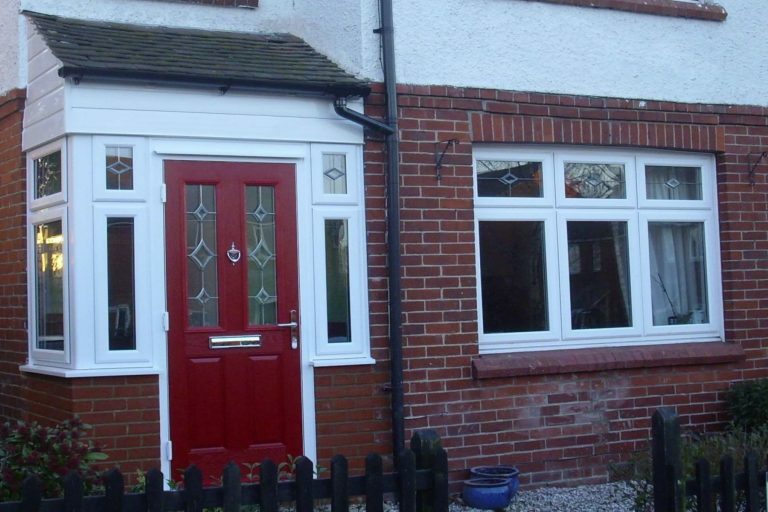 The porch frames are A rated energy efficient uPVC double glazing.